invites you to our third ride - The Brew pub ride ! At long last and after many of you have so patiently (and eagerly) waited for...the North Branch Trail Alliance now cordially invites you to get out your bikes and be part of our very first Brew Pub Ride kicking off on Saturday, August 26 at 1:30 PM. Join us for a day of supporting our local businesses, meeting our neighbors, riding our bikes and building our community. 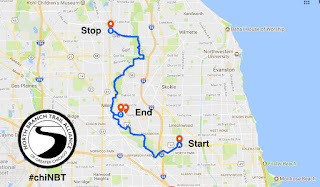 We'll start at Alarmist Brewing in Sauganash at 1:30 PM, then head up to 1090 Brewing in Glenview and then finish off our Brew Pub Ride at Wildwood Tavern in Niles. 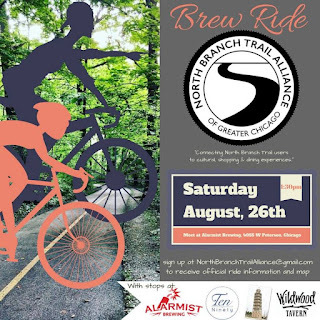 At 6 PM at Wildwood Tavern all are invited to join the North Branch Trail Alliance of Greater Chicago for an evening of bike and bike path trivia, food and drinks. You do not have to do the ride to join us at Wilwood Tavern.